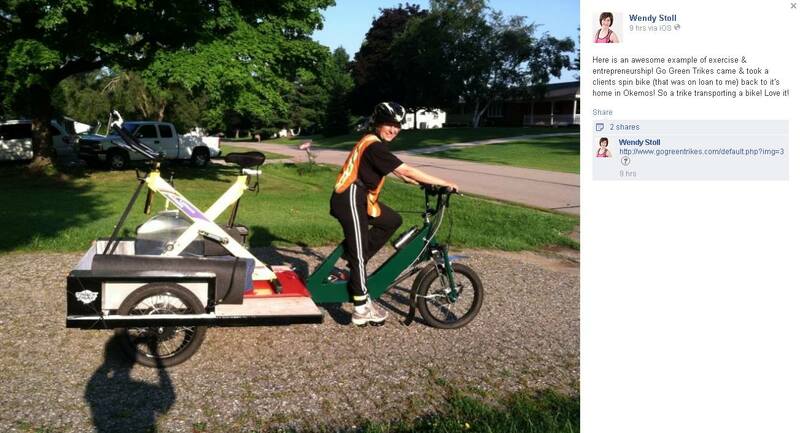 SoupGrant is excited to welcome Go Green Trikes back this month! We wanted to share a couple photos from Yvonne with you to give you a better idea of what this green, bike-powered delivery service looks like in action! What is Go Green Trikes? 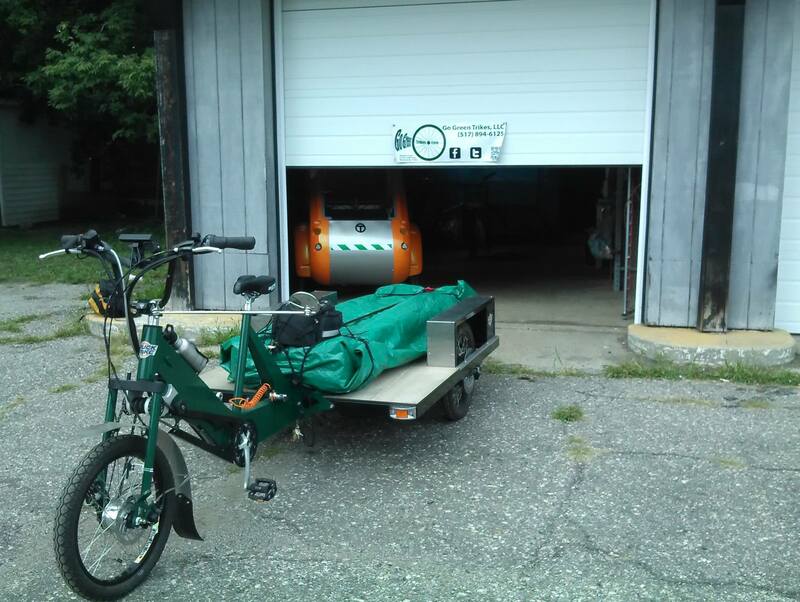 GGT: We’re a “green” delivery service that uses heavy duty electric-assist tricycles and bikes that are capable of hauling up to 600 pound payloads. Why are you applying for a SoupGrant? We want to establish a fund whereby non-profits and other local community groups can better afford our services so we can help them help others. Go Green Trikes delivers anywhere in the shaded area and operates from April – November. How will you use the money you raise from your SoupGrant? The funds will be used to wholly or partially offset delivery costs so non-profits can take advantage of our services. 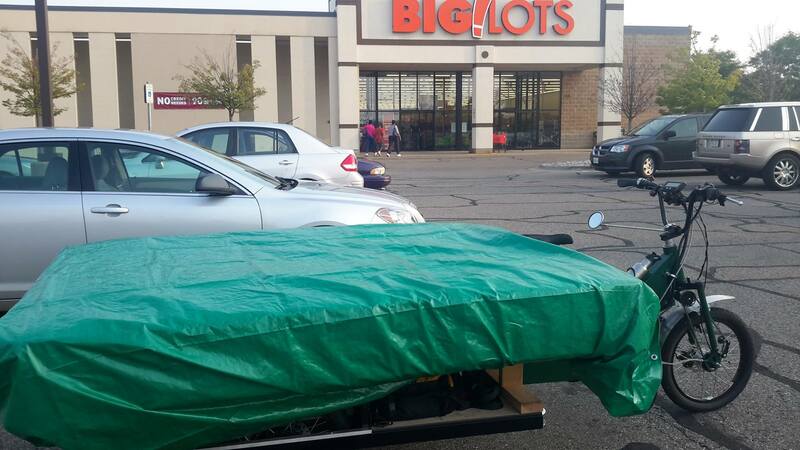 So far, the Homeless Angels and Mid-Michigan Environmental Action Council have both expressed interest. Others that we plan to invite once a fund is established are the Women’s Center of Greater Lansing, the Allen Neighborhood Center, and the Greater Lansing Food Bank. 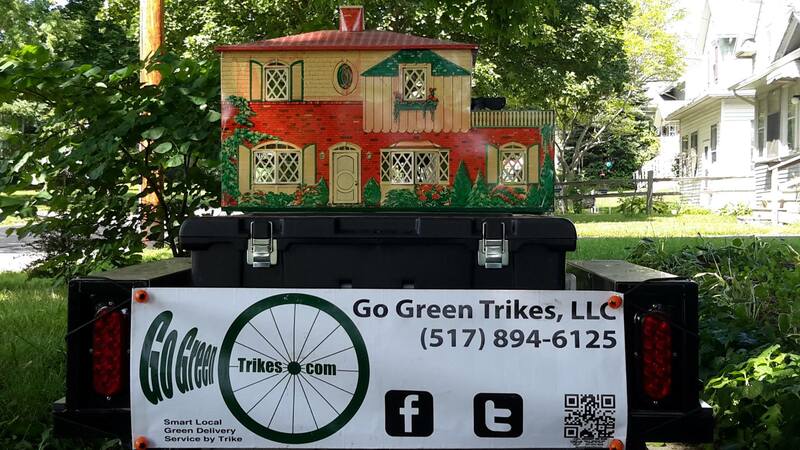 Go Green Trikes, LLC operates under a “triple bottom line”. While we’re in business to make a profit, people and the planet are important to us as well. We’ve noticed that several local non-profits LOVE the idea of utilizing greener transport alternatives, it may be an undue hardship for them to do so. Yvonne will be back with us for SoupGrant on September 18! For more info and to RSVP, check out our Facebook event page. *All photos courtesy of Go Green Trikes’s Facebook.